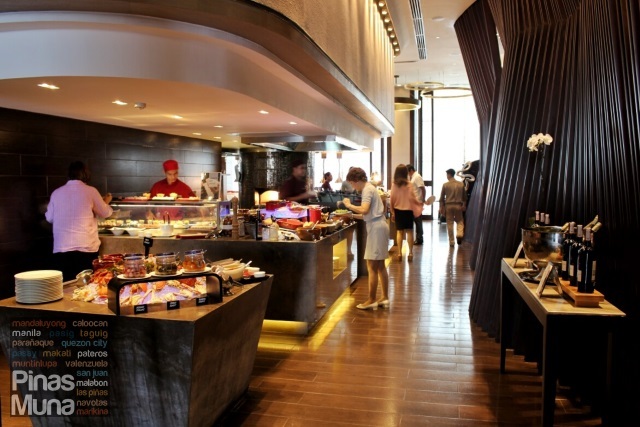 Cucina is the all-day dining restaurant of Marco Polo Ortigas Manila featuring a buffet and a la carte menu that offers Continental and Asian cuisines. 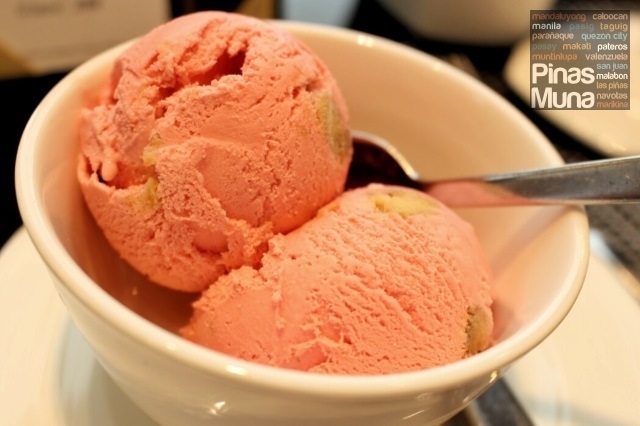 Pronounced kooh-chee-nah, the restaurant got its name from cucina, the Italian word for kitchen. The restaurant is divided into various stations each with its own open kitchen where you can watch Cucina's culinary team prepare the dishes. 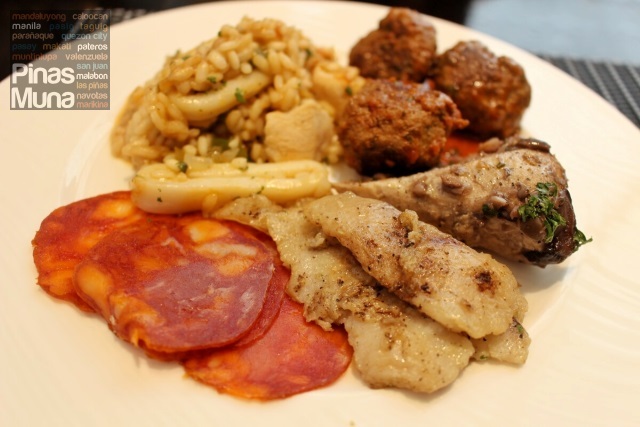 This July, we finally got to try Cucina's lunch buffet. 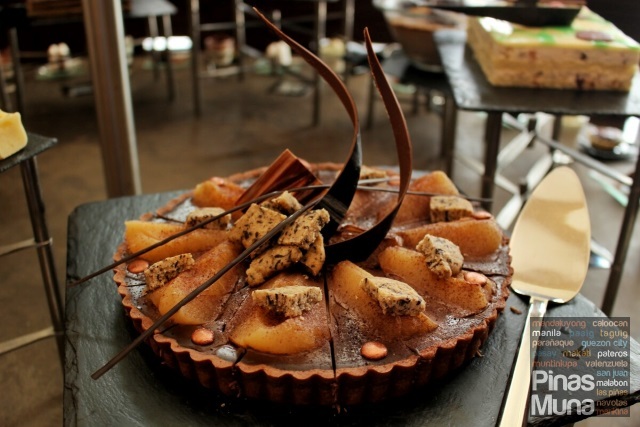 Our visit was very timely because Marco Polo Ortigas Manila has a new executive chef, Luis Cantons, who is from Spain. We arrived at 12:00noon and as soon as we were seated, more and more guests arrived, mostly employees from the nearby offices and a couple of foreigners who are most likely business travelers in Ortigas Center. 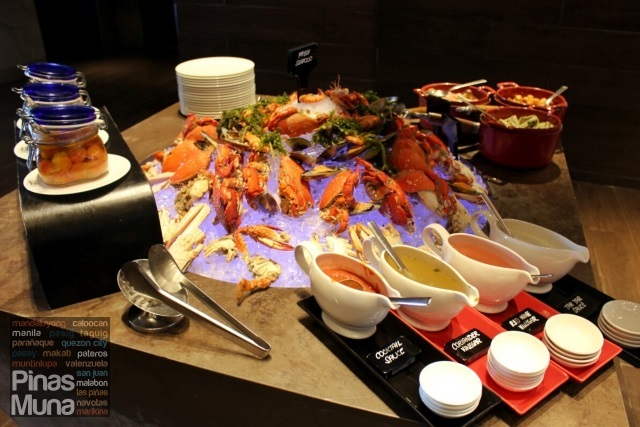 Entering the restaurant, you will be greeted by the welcoming sight of the seafood station. What I really found surprising was the curacha served together with crabs, prawns and mussels. Curacha is a type of crab that is only found in the waters of Zamboanga City and Sulu Sea, and Cucina is the only restaurant in Metro Manila that I have seen serving this seafood delicacy from the south. 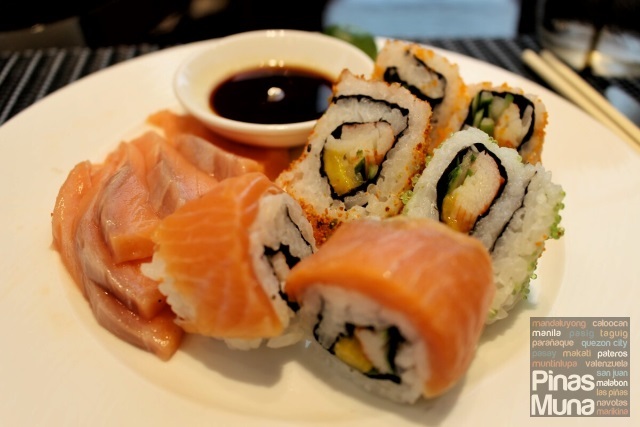 The Japanaese Section features a number of maki rolls and sushi. Tuna and salmon sashimi are sliced upon request. 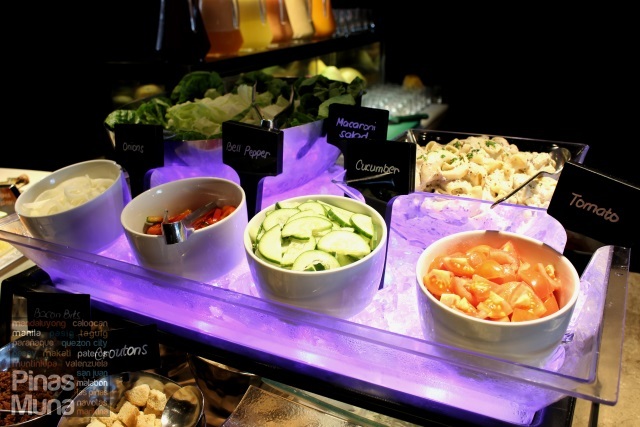 Next to it is the Salad Station where you can customize your own salad, mixing and matching different greens, vegetables and salad dressings. 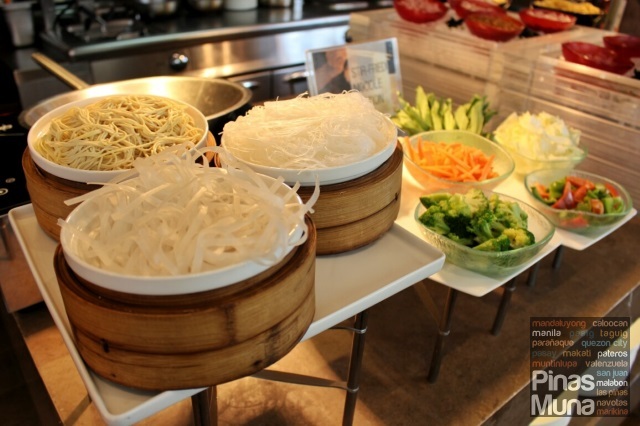 At the Chinese Station, you can also customize your own bowl of noodles. Just tell them which noodle, vegetables and meat you want in your soup and they will deliver it to your table freshly made. There are also a handful of dimsums to choose from. 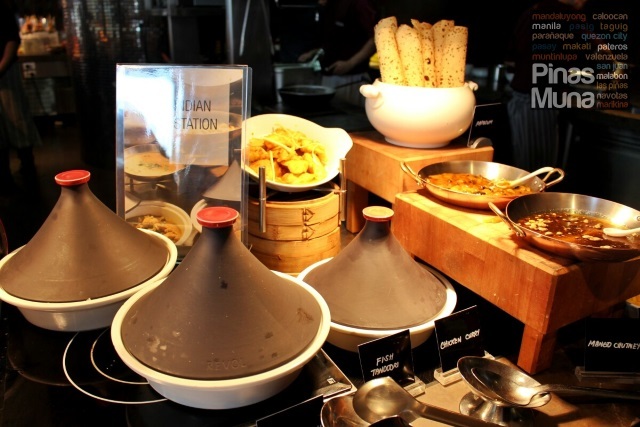 Next is the Filipino Station featuring some of the well-loved Pinoy dishes served in palayok (or earthen pots). Some of the dishes we spotted were Beef Kaldereta, Adobo, Grilled Liempo, and there's even Bibingka. 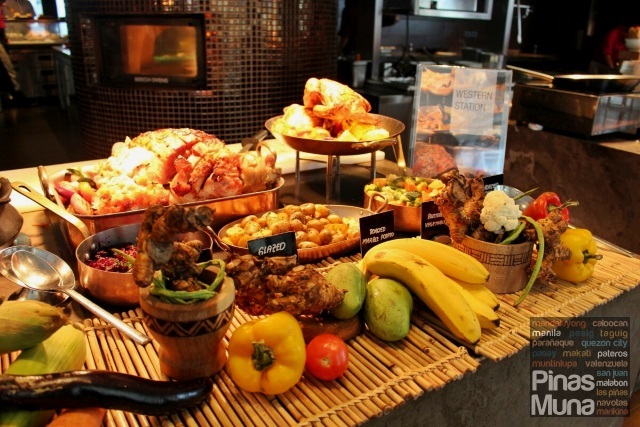 The Western Station, on the other hand, highlights the flavors of the Americas with its roasted pork, and chicken, potatoes and buttered vegetables. If you haven't had enough noodles, how about having it stir-fried this time? 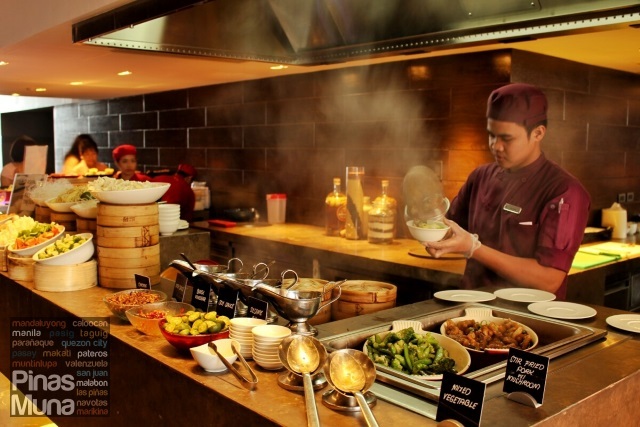 The Stir-Fried Noodle Section also allows you to customize your stir-fry with your choice of noodles and veggies cooked in Cucina's signature stir-fry sauce. 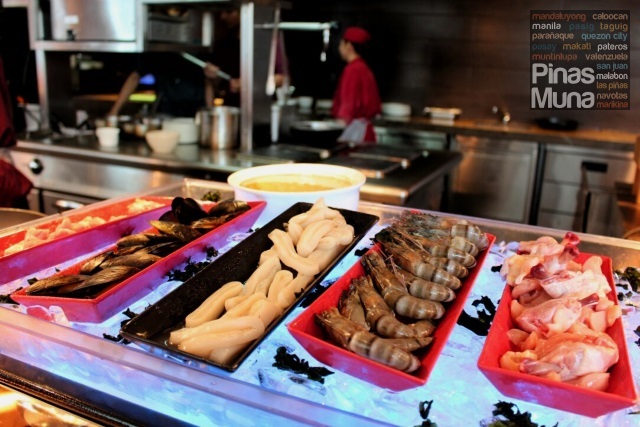 The Grilling Station has a selection of prawns, squid, mussels, chicken, pork and beef which you can have grilled with your choice of sauce. Your food will be served on your table fresh from the grill. 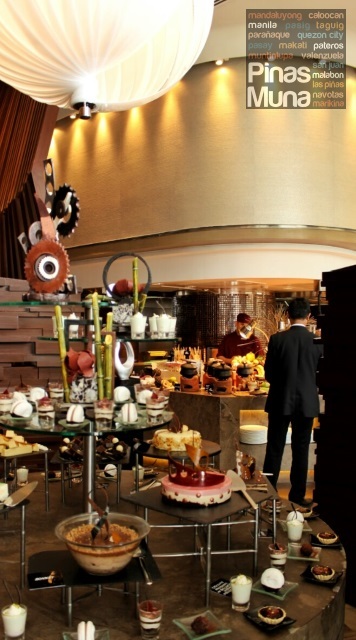 With a new executive chef from Spain comes a new buffet station. The Spanish station's highlight are the various paellas prepared by Chef Luis himself. 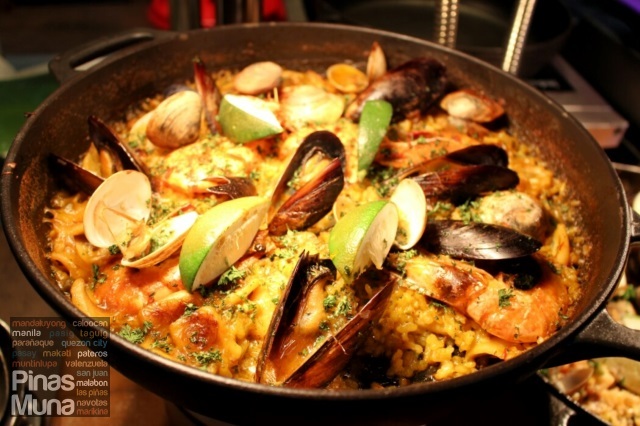 If you are looking for an authentic tasting paella, you gotta plan your next buffet lunch or dinner at Marco Polo Ortigas Manila's Cucina restaurant. Other Spanish dishes are also served on this section. We particularly loved the Spanish Meatballs! I always admire buffet restaurants with an Indian Station. And Cucina has one! We often have colleagues from Hyderabad, India visiting our Manila office for training, and they find it particularly difficult to search for restaurants in Manila that serves Indian food. 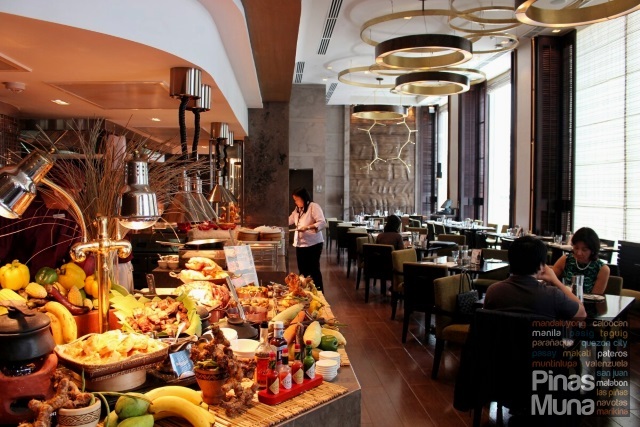 Marco Polo Ortigas Manila will definitely be one of my top recommendation for India cuisine. Some of the dishes we saw were Fish Tandoori, Chicken Curry, Vegetarian Curry, Basmati Rice and Papadum. 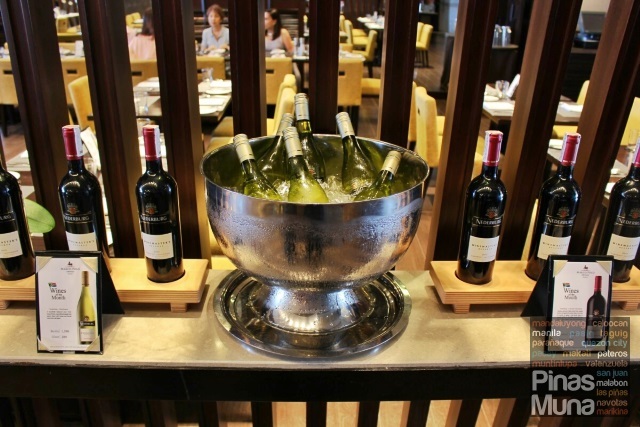 Why not make your dining experience extra special by ordering a bottle of the restaurant's Wine of the Month. 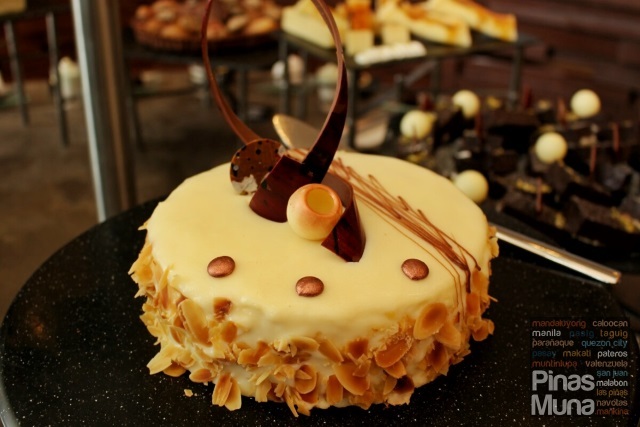 Lastly, make sure to reserve some space for cakes, cakes and more cakes from the Dessert Station. 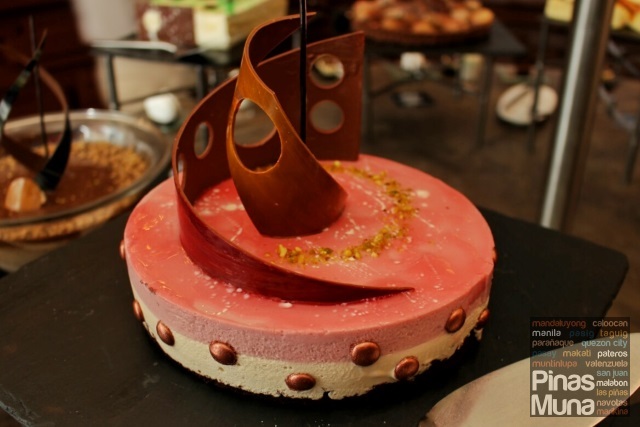 When I saw the cakes on display, I really wanted to skip the main dishes and go straight to dessert. 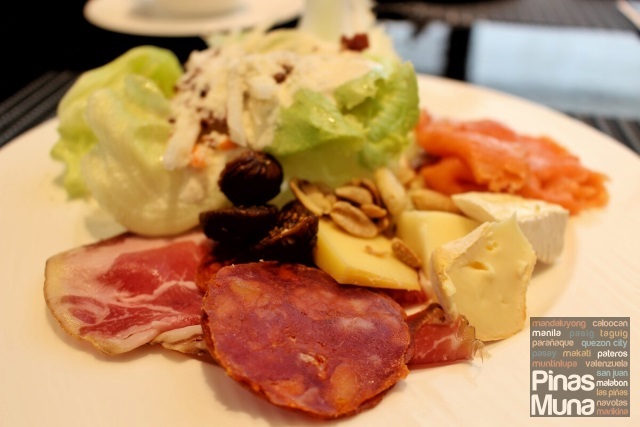 Compared to many hotel buffets, the spread at Cucina is not that extensive but I find it great that the culinary team of Cucina was able to execute every dish with excellence. 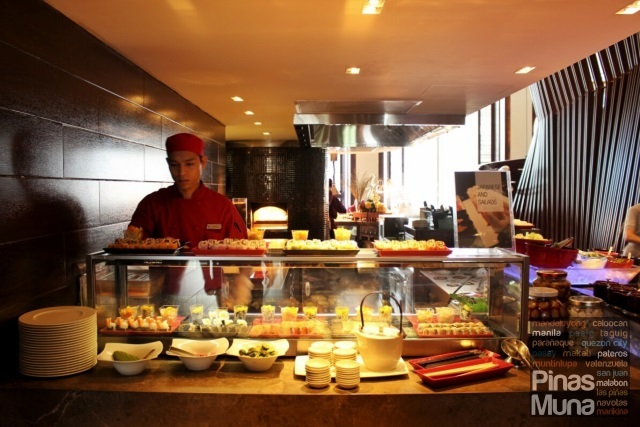 I can assure you that any dish you choose from the buffet stations would be of high quality. The outstanding customer service at Cucina is also worth mentioning. The restaurant staff always made sure that there's water in our glass. They also cleared used plates from our table without having to ask them.